When was the last time you pedaled your way uphill and it felt nothing short of an adventure? Ill, if you haven’t, it is time you dropped by for a visit! I am Melissa Goodwill and I absolutely love electric bikes. Welcome to my blog that features product reviews, crucial information and advice regarding cycling. This is not your average cyclist blog page. It’s a step ahead and beyond. When it comes to cycling and related adventures, I am never tired of meeting your expectations. When I say that my approach is different, I mean it. I don’t just review electric bikes but also provide you with insights that you might have never come across. I pay attention to detail. For example, the positioning of the batteries might be insignificant to an average cyclist blog but to me it means an additional Iight that the buyer might need to carry. How can I not mention that in my review? Apart from the usual graphics and colorful fonts that are every website’s best companion to seek maximum attention, I add a little more. Are you curious enough? I have added a complete bike training plan. Before your head out for your trails, know how to prepare yourself. I pick the best products that serve you with quality, comfort and style. 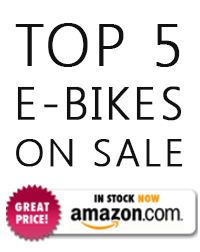 I review electric bikes of all kinds and of different ranges. I understand that every rider is different and I respect individual preferences. I keep the regular commuter in mind. This is why I review bikes of all kinds and not just the fancy ones for dirt trails. Regular transit remains our top priority. My website constantly emphasizes on the benefits of cycling as regular transport. While other blogs might use this as a promotional piece of advice, I believe in it and strongly advocate it time and again. My reviews are unbiased and purely based on market trends. I talk at length about the features, the pros, cons, advantages over competition and conclude accordingly. Before I present my reviews to you, I have a buying guide, specifically meant for beginners to make an informed choice. Since the time I have given in to the idea of cycling to work, I have found new reasons every day to stick to my decision. While reviewing the bikes for you, my website will offer you new and interesting perspectives of an electric bike that you possibly never knew. Did you know that owning an electric bike can save you the hassles of a parking space? You can practically park 20 electric bikes in the space that a car can take up? You are saving fuel, energy, relentless traffic stress and loads of money while riding that e-bike up a hill and you are not even panting while doing all that! Do you need more reasons to buy an electric bike? Are you seriously contemplating buying one but are not so sure which one to lay your hands on? My reviews will hold your hand through the decision-making and you can ride your way back home with your favorite travel companion sooner than you had imagined!